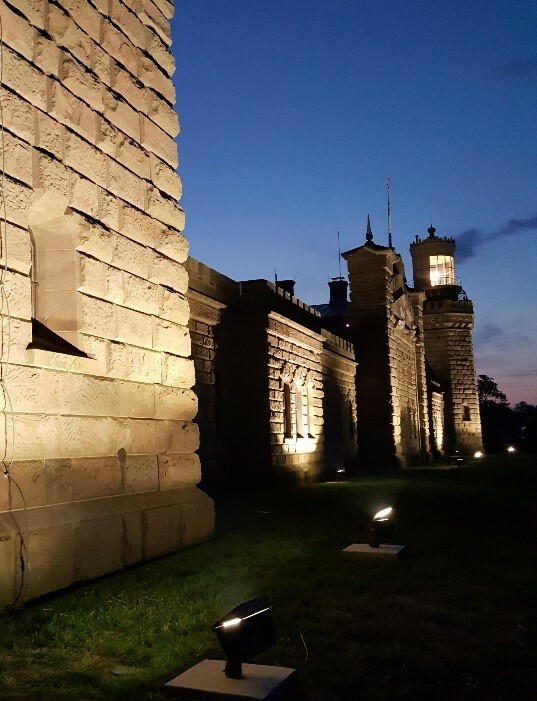 (17/P111) TRENTON – The New Jersey Division of Parks and Forestry this Sunday, December 3, will host its first public nighttime viewing of the Twin Lights of the Navesink Historic Site since lighting was installed to illuminate the 155-year-old brownstone structure. The new lighting, known as up-lighting, was installed this fall to dramatically showcase the unique architecture of the building comprised of two light towers that sits on a high bluff overlooking the Navesink River and Raritan Bay in Monmouth County. The grounds will open at noon and close at 8 p.m., four hours past its usual 4 p.m. closing. The North Tower will be open for a night climb and the Twin Lights Museum, with its Seeing Stars exhibit, will also be open to the public. Entrance and access to all exhibits are free. Constructed in 1862 to replace a pre-existing lighthouse, the iconic Navesink Light Station, known more commonly as Twin Lights, has been photographed, painted, sculpted and sketched. The fortress-style building achieved National Landmark status in 2006. Before the up-lighting installation, lights at the historic site consisted of simple security lighting and a small light in the north tower. 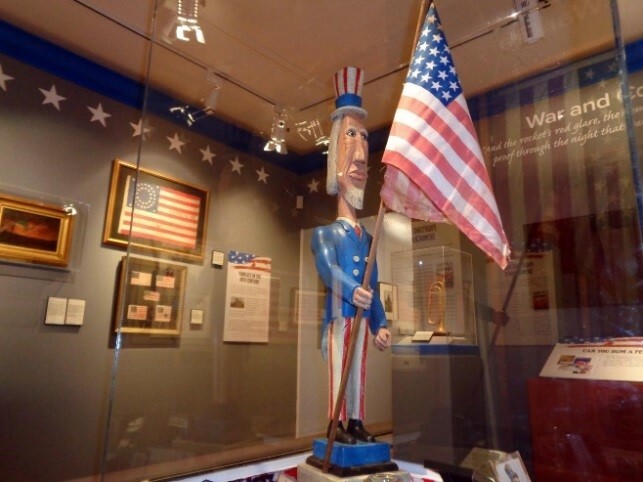 While onsite, visitors can also enjoy the Seeing Stars exhibit, which celebrates the connection between the Twin Lights and the Pledge of Allegiance, given as the national oath of loyalty for the first time during an 1893 ceremony at the lighthouse. The Twin Light Historical Society has acquired original examples of the first and second printings of the Pledge of Allegiance, which will be on display in the museum during the December 3 event.